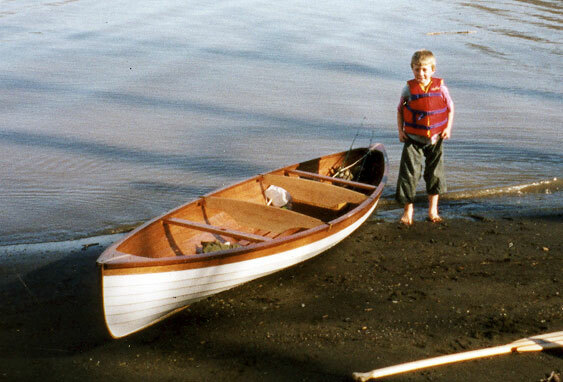 Lucas Pharmer, son of Andrew Pharmer, is seen here standing beside LOUIE DA' BOY, a 15'8" x 33" Iain Oughtred McGregor Canoe. 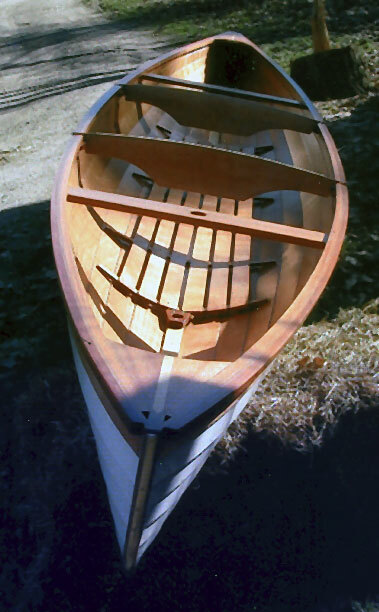 Andrew and Lucas built the boat according to the methods described in Ultralight Boatbuilding by Thomas J. Hill, except Andrew writes that he screwed the boat together rather than clamping it. 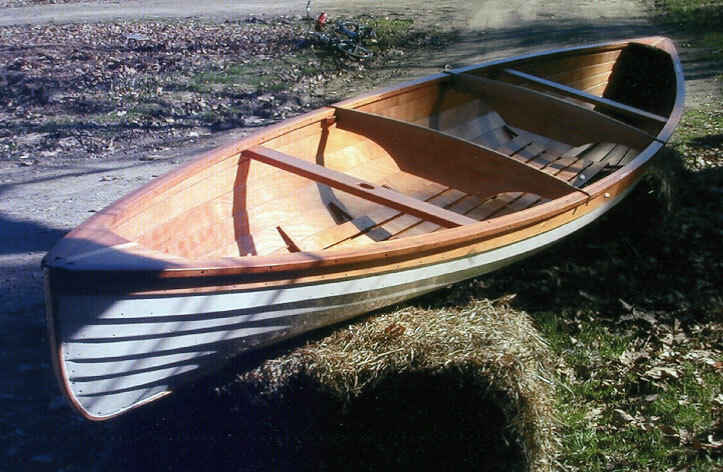 They launched LOUIE in June 2005 and use her (him) on the Hudson River, Saranac Lake, and Keuka Lake in New York.